The building's three levels rise above a concrete and block subterranean parking garage containing two parking spaces per unit, and individual entry stairs. The first living level contains two bedroom and two bathrooms. 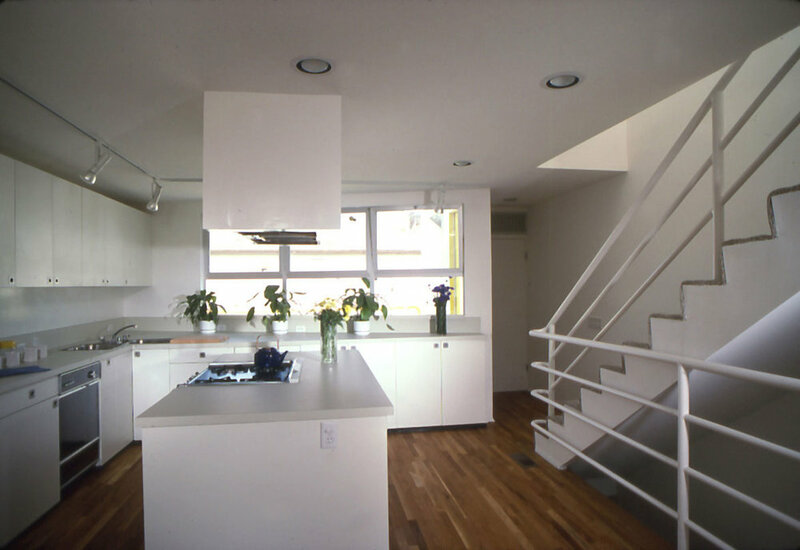 The second and third level share a common volume, with the second level containing the living area, dining area, kitchen, bathroom and an exterior deck adjacent to the kitchen. 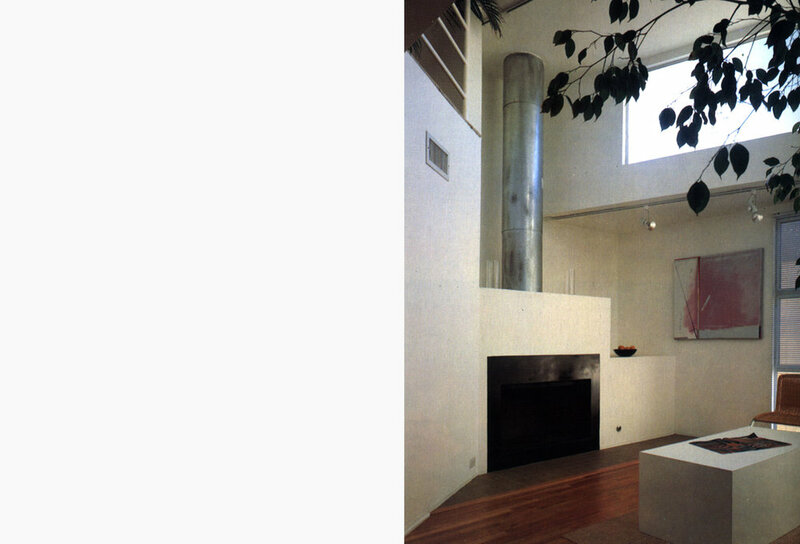 The third level mezzanine overlooks the living area and has a private exterior deck. 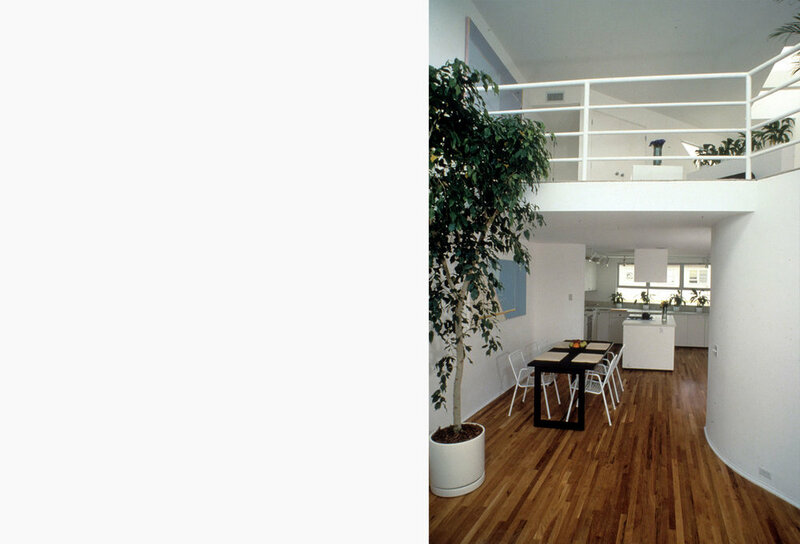 There is a private stair leading to a roof deck above. 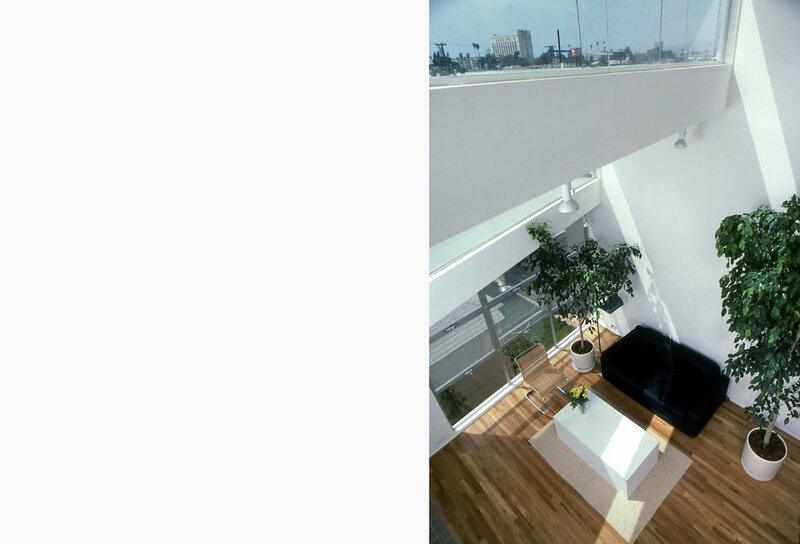 The upper roof decks are separated by a skylight and storage locker. 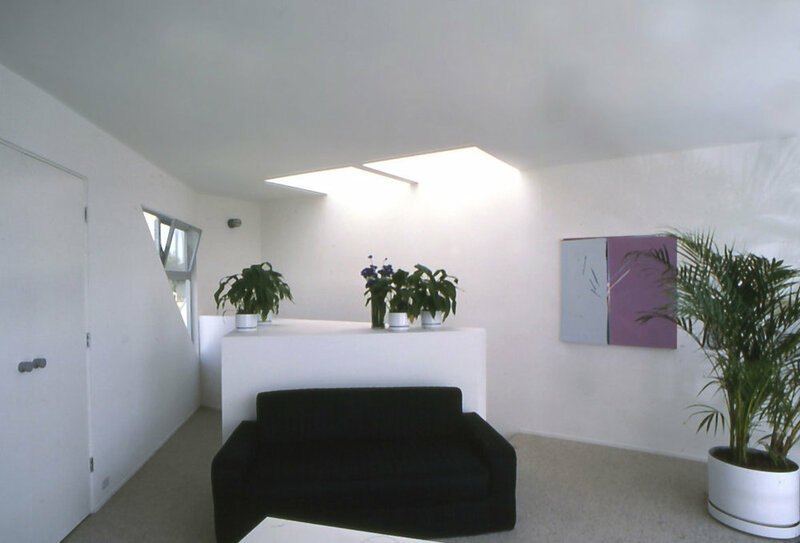 The skylight is lit from above to provide a soft ambient light within the stair shaft at night.